In any case, today's post is devoted to Cornell's study on Kombucha Tea- "Determination and characterization of the anti-microbial activity of the fermented tea Kombucha" by C.J. Greenwalt, R.A. Ledford, and K.H. Steinkraus. Published in 1998, this study is one of the most frequently recognized and referred to studies on kombucha tea at the moment. You can see a reproduction of the article here, but my plan is to break the study down for you in a more reader-friendly format and to highlight several of the important points. I've separted my posts on the Cornell study into two parts- today's post, Part I, will focus on the literary research Greenwalt et al. performed before conducting their experiment. My second post on this study, Part II, will be dedicated to the findings that Greenwalt et al. made after performing their study. Through Greenwalt et al. 's literary research, they first acknowledge the kombucha craze present in the media, including a New York Times article published in 1994 and a past article in the Miami Herald. Such articles "[suggest] that Kombucha consumption can reduce blood pressure, relieve arthritis, increase the immune response, and cure cancer." Thus, "Kombucha can safely be prepared at home without pathogenic health risk"
The acidity of kombucha tea, at ~33 g/L total acid or 3.3%, is pretty high, which limits the ability of many other unfavorable organisms to grow. Although the yeast and bacteria break down much of the sugar in the form of glucose, kombucha tea still contains a little bit of sugar, and most of this is in the form of fructose, which the yeasts and bacteria use less of. Furthermore, Toda et al. demonstrated that unfermented tea at high concentrations inhibited several pathogenic and undesirable organisms, including seceral strains of Staphylococcus, Salmonella, and Shigella. And, in various and previous studies, it was determined that high levels of unfermented tea have anti-microbial effects. But, it "has yet to be shown if drinkable levels [of unfermented tea] have similar properties." Look for Part II of this post (hopefully within a week) on what Greenwalt et al. discovered from performing their experiment on kombucha tea! 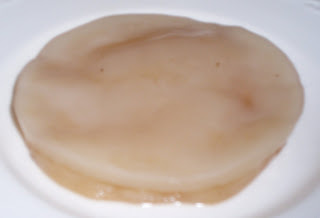 Their mission for the study: "to determine and characterizie Kombucha's anti-microbial activity using an absorbent disc method," and to also see if drinkable levels of unfermented tea carry anti-microbial properties!